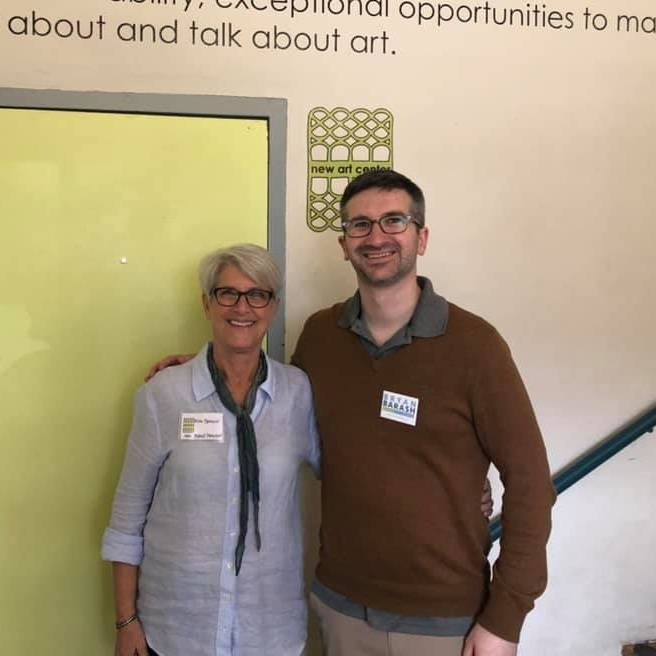 Bryan had a great day checking out all the wonderful Newton artists at the 2019 Newton Open Studios. He was impressed with how many artists live in Ward 2! We’ve put together some information below so you can learn more about each artist and get in touch with them if you’re interested in their art! The New Art Center is a community art education space which offers everyone, at all levels of ability, exceptional opportunities to make, exhibit, view, think about and talk about art. Board President Kim Spencer spent her time at Newton Open Studios promoting the wonderful artists. She’s a rock star in our community. New friend Grey Held always keeps me thinking, first with his “Make Poetry Concrete” public art project and then by reading his poetry today, which he displays brilliantly. You can find him at www.greyheld.com. 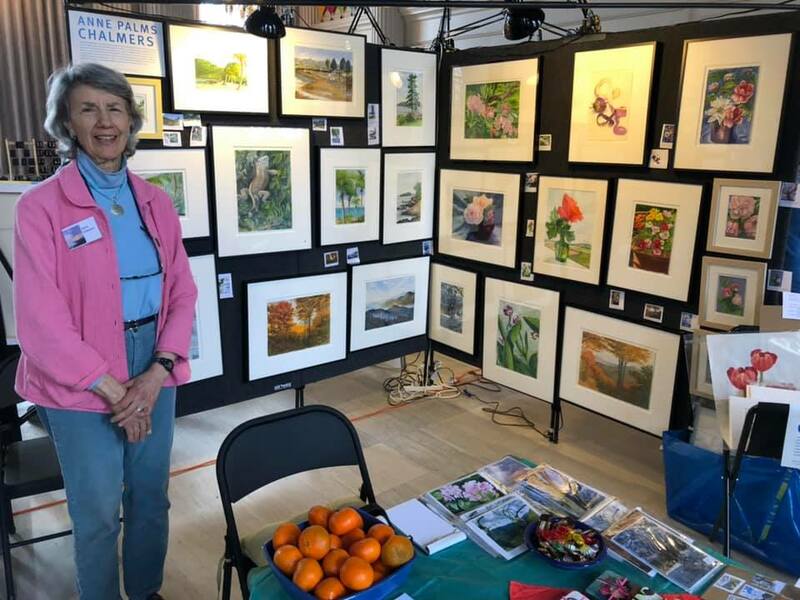 Lynda Goldberg has some fascinating paintings, which you can see more of at her gallery “Nature Inspires - Monotypes” at the Newton Free Library May 2 - May 30 (reception is May 7th at 7pm). Eddie creates original paintings for the modern and contemporary home and office. 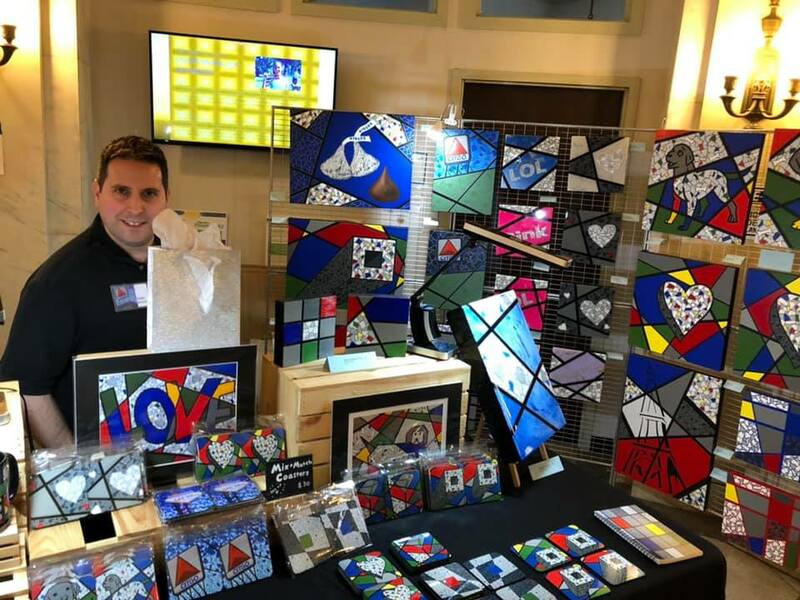 He has some really great art in a variety of formats, including coasters. AND he was giving away free paintbrush shaped pens at Newton Open Studios! Learn more. Anne Chalmers has wonderful paintings and had free oranges! She doesn’t have a website but we’ll be hosting a house party at her home soon! Howard Fineman’s photography was very intriguing, Bryan especially liked his capture of the cups left by runners at the Marathon. Check out his work at www.finemanphotography.com. Marsha Firestone has lovely polymer clay jewelry. Bryan especially liked the bracelets. Her work is at www.firestoneclay.com. 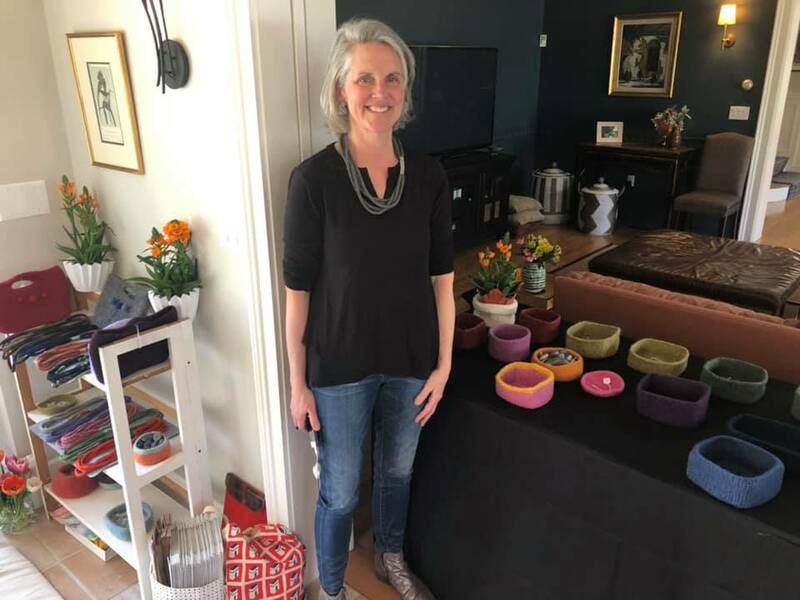 Bryan had no idea Lindsay Jones Pike was a potter until he ran into her at Newton Open Studios, and her work is lovely! Bryan had the pleasure of sitting down to discuss local issues with Emily Sper, so of course he wasn’t going to miss her inspiring photography. He was blown away by the beauty she finds in the ordinary. See more of her work at www.emilysperphoto.com. 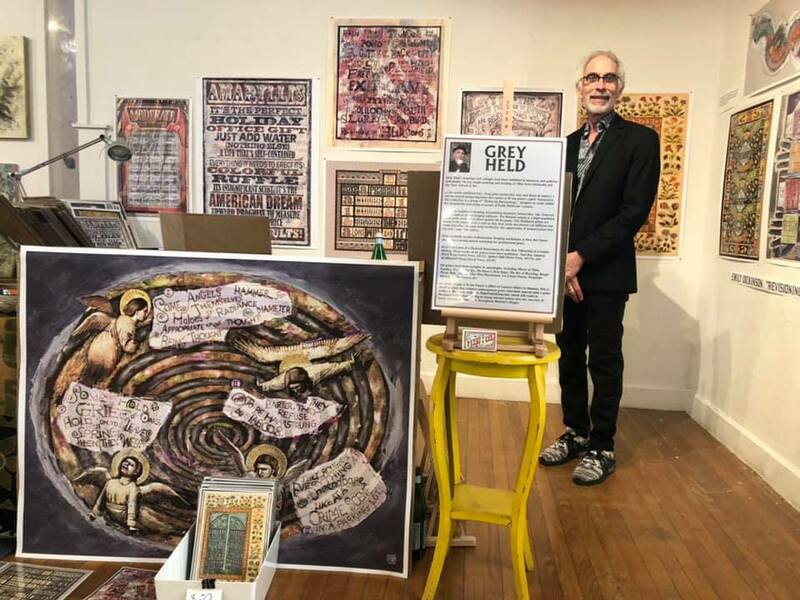 It was a pleasure for Bryan to meet Dan Dyer, who was showing his work in his home studio in West Newton. Bryan especially enjoyed his cityscapes. You can find more of his work at www.ddyerart.com. Katharine Johnson had some really interesting felt containers on display!